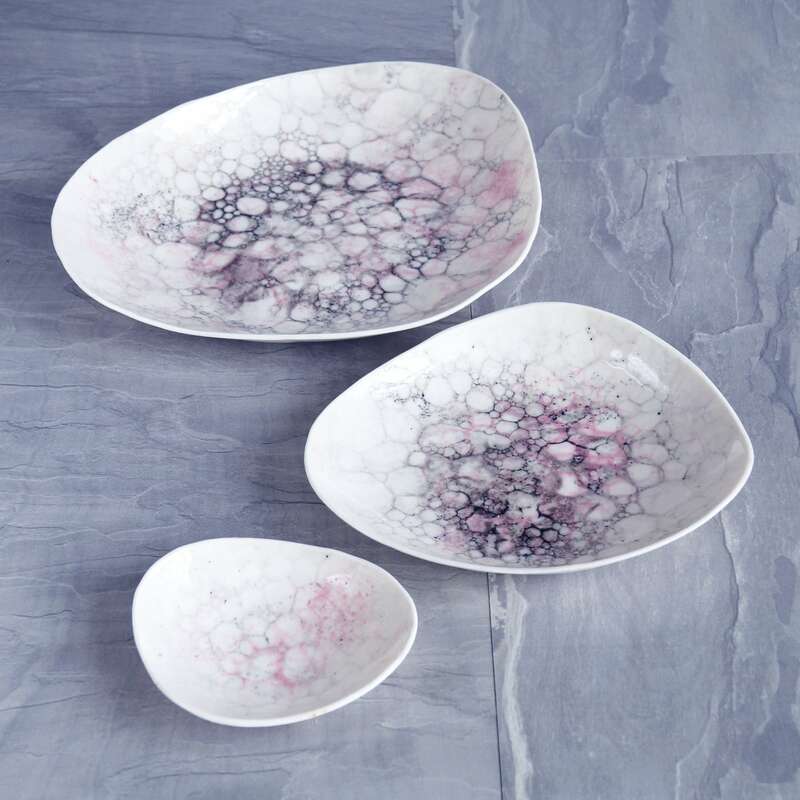 This set of pebble shaped bowls has a unique and attractive bubble print. 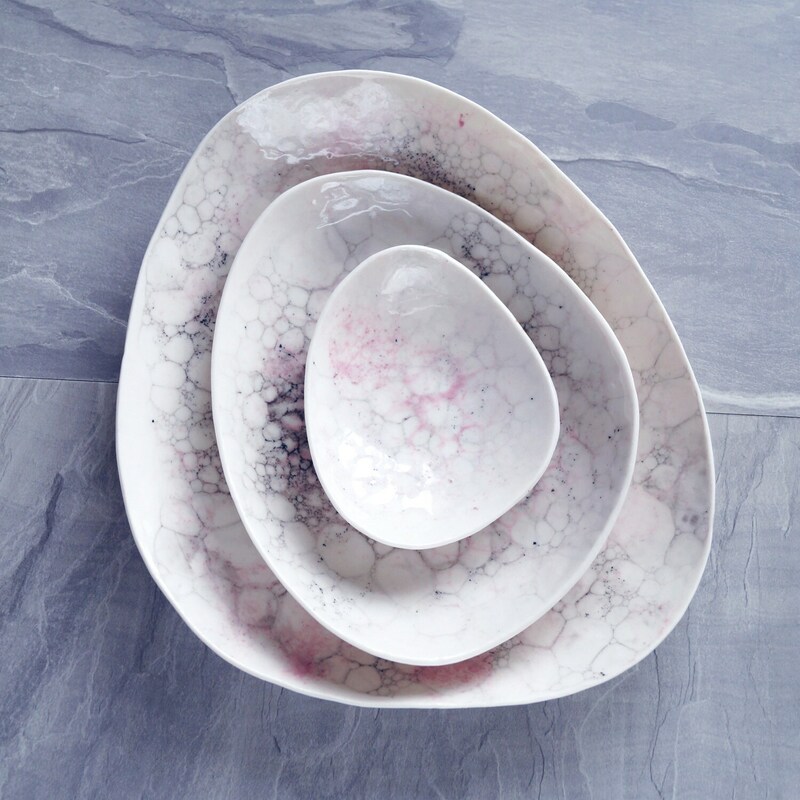 Porcelain / stoneware bowls are suitable for serving food, bathroom storage, soap, candles or jewellery. 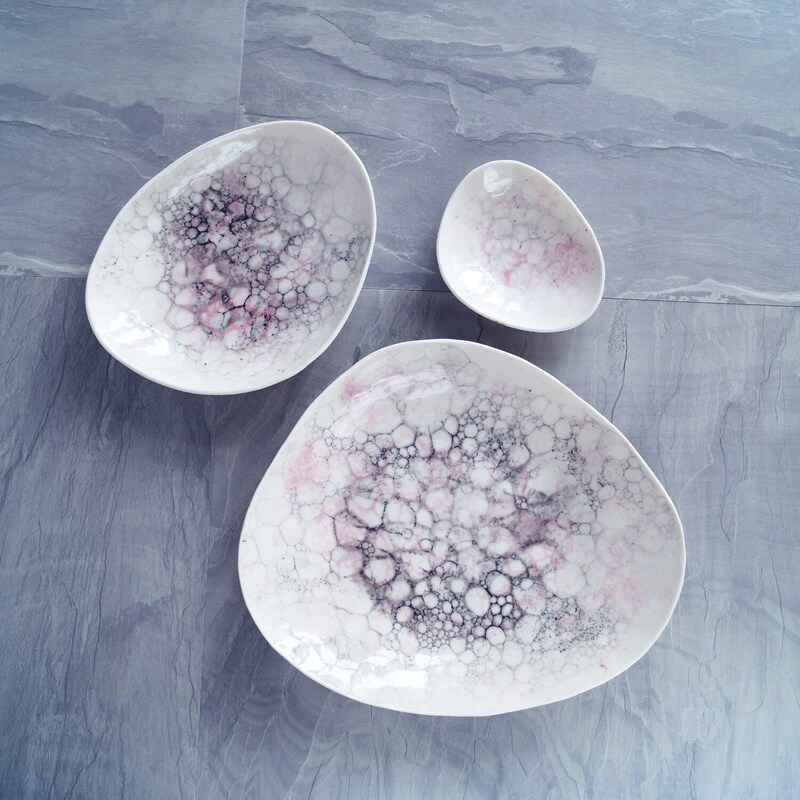 Pink and grey ceramic coloured bubbles under shiny glaze. 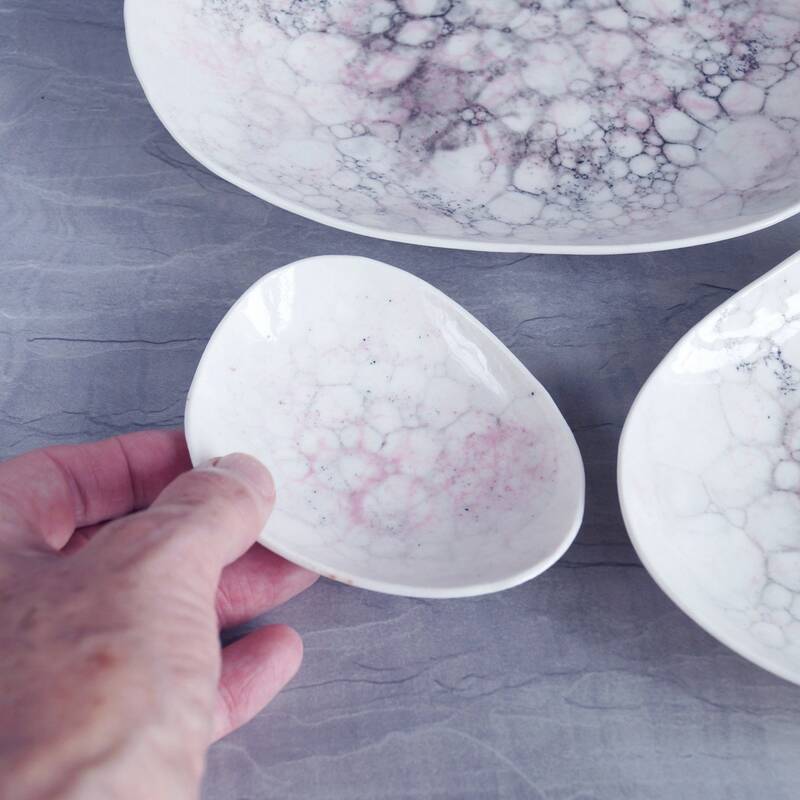 Set of three pebble shaped bowls. Medium: 170 mm widest point x 137 mm x 30 mm high approx. Small: 100 mm widest point x 84 mm x 20 mm high approx. Free pebble candle with the set. Each one has a unique design due to the natural bubbles that are created. 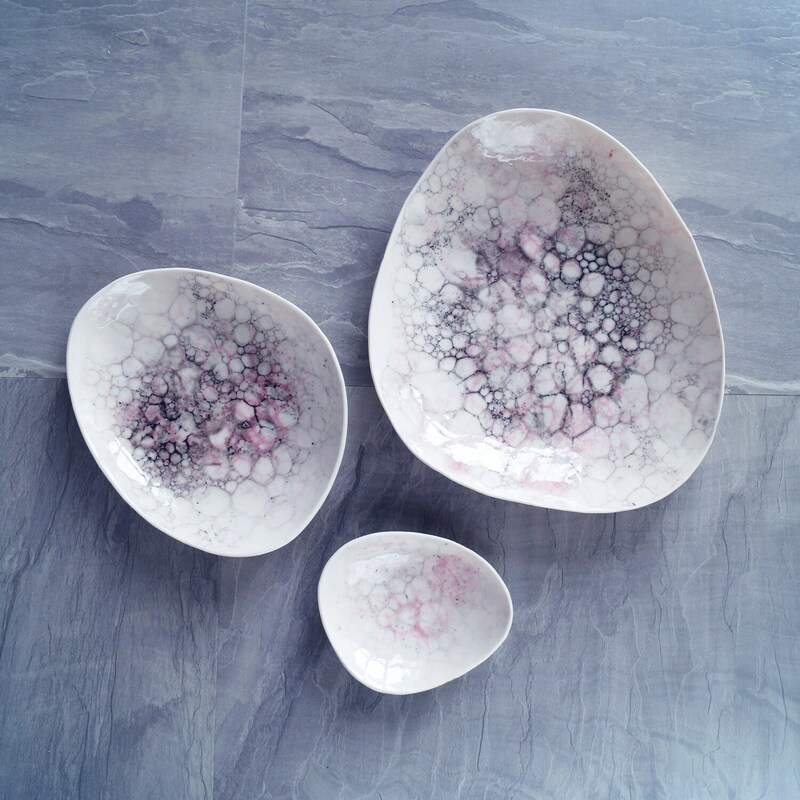 Your bowls may be different to those shown but will be just as beautiful.